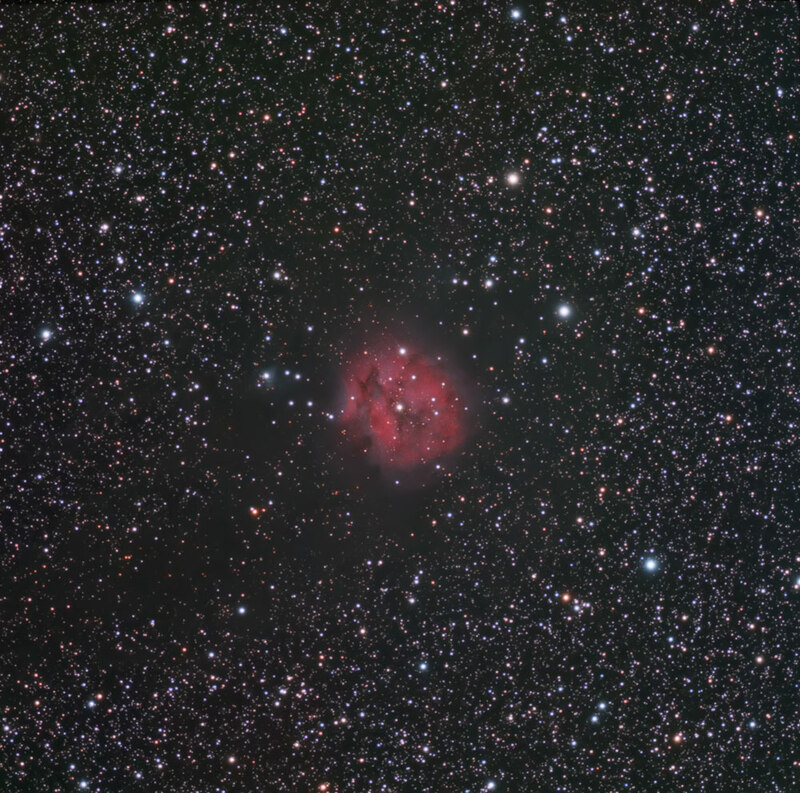 IC 5146, also Caldwell 19 and the Cocoon Nebula, is a reflection/emission nebula in the constellation Cygnus. The cluster is about 4000 ly away, and the central star that lights it formed about 100000 years ago. When viewing IC 5146, dark nebula Barnard 168 (B168) is an inseparable part of the experience, forming a dark lane that surrounds the cluster and projects westward forming the appearance of a trail behind the Cocoon. Images plus 3.75: Calibration, Normalized Median Combine, DDP. final noise reduction of background with Noiseware Professional.